TEMPE – Hurricane Maria has had a lasting effect on Puerto Rico. 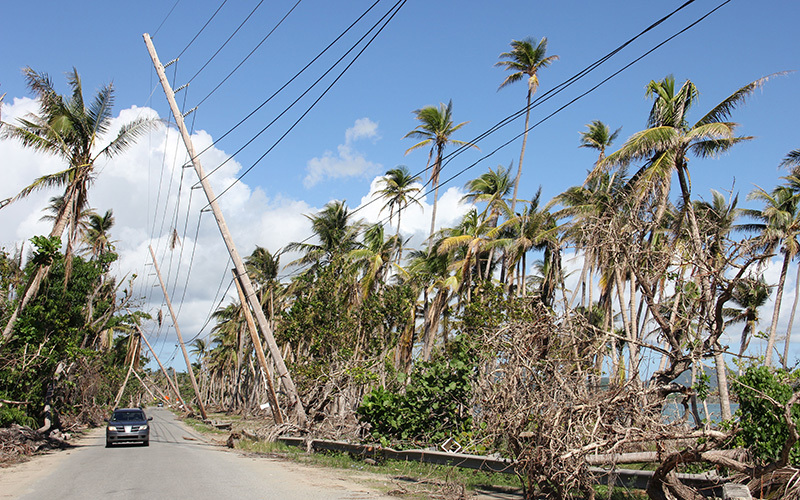 Nearly six months after the storm struck the island, damage remains widespread, and nearly a half-million people still are without power. 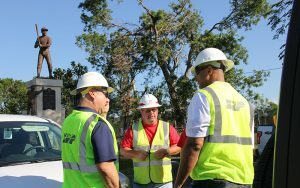 The dire situation prompted dozens of utility companies from across the United States to pitch in to help their fellow Americans. One of those companies is Salt River Project, the Valley utility known as SRP. Its eight-person team returned last week to Arizona, where they were met by eager family members they hadn’t seen in a month. SRP dispatched the command group to Puerto Rico for 30 days. Their mission was to direct about 250 utility workers, hired as contractors, to restore power to the rugged, rainy island. SRP led the effort to distribute materials to contractors on the northeastern part of the island, in Carolina, Fajardo, and Canóvanas. Jesus Rodriguez, a supervisor with SRP who led the distribution-line maintenance effort, described the damage on the island as shocking. Rodriguez and his team tried to salvage what they could, then had to wait for new materials before they could begin work. The challenges they faced were rigorous. It rained almost every day, which slowed the entire process, and the mountainous terrain was physically exhausting. But the experience, Rodriguez said, was worthwhile. Some of the residents in Carolina had been without power for more than 120 days. Every time the electricity was restored in a neighborhood, residents erupted in cheers. Jon Beauregard, a manager for SRP, said working on the island was a life-changing experience. The result was an emotional experience shared by them and the people of Puerto Rico. Because of the work of SRP and other utility companies, more than 50 percent of power on the island had been restored by the time they left. Rodriguez and Beauregard said that they left Puerto Rico better than they found it, which brings them joy. The most recent update from the Puerto Rico Electric Power Authority said more than 75 percent of customers – about 1.1 million people – now have power. However, that still leaves nearly 400,000 Puerto Ricans in the dark. The job isn’t over yet.